Chips are made from cabbage Kale grown on small plantations in the ecologically clean area near the town of Sergiev Posad, without chemical fertilizers. Each leaf Kayla collected manually, collapses in a special sauce (based on cashews and deactivated yeast vegan nutritional yeast) and put into the dehydrator, where the cook for 14-20 hours at a low temperature at which superfud remains alive, preserving vitamins, enzymes and other useful properties. 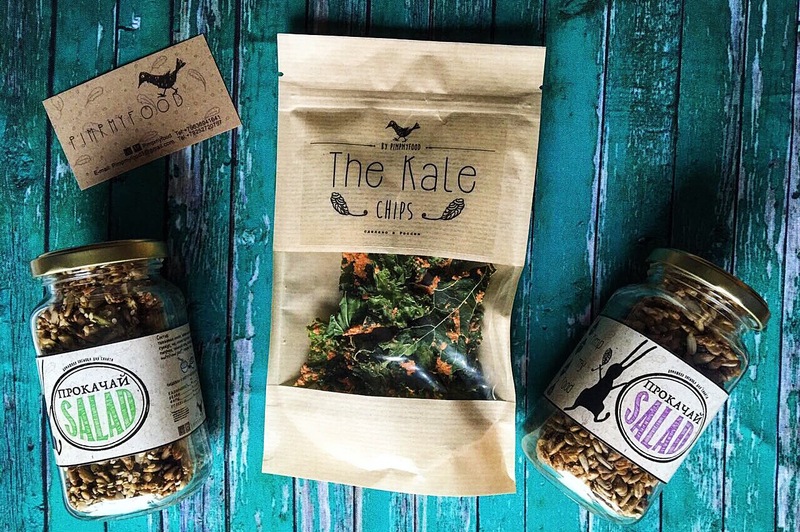 PIMPMYFOOD – vegan seasoning of seeds and superfuda salad and chips from Keila that we create in the home production. 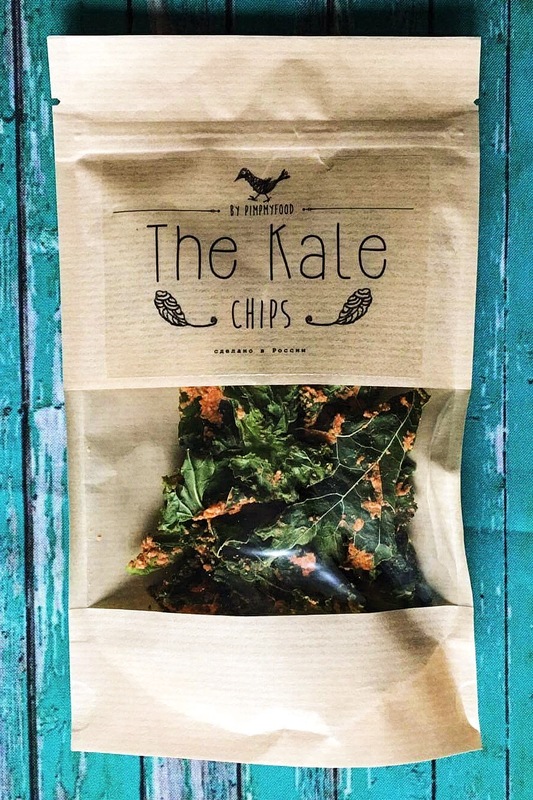 Kale chips - made from cabbage grown on small plantations in the ecologically clean area under the Sergiev Posad, without chemical fertilizers. Each leaf Kayla collected manually, collapses in a special sauce based on cashew and useful deactivated yeast vegan nutritional yeast with vitamin B12, is put in a dehydrator, where to prepare for 14-20 hours at low temperatures in order to superfud remained alive, kept the vitamins , enzymes and other nutrients. Иван-чай стеклобанка 25 гр.2 x Иван-чай стеклобанка 25 гр.